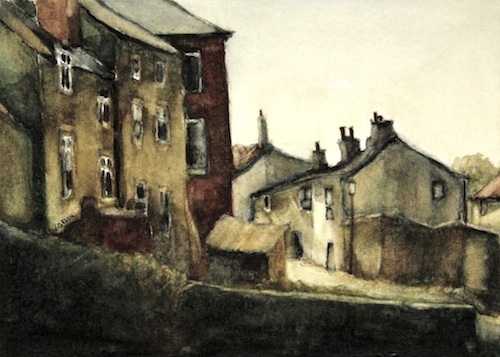 Vyvyan Green Watercolours - By Staithes Beck, North Yorkshire - evening. By Staithes Beck, North Yorkshire - evening. Art Card 5" x 7"